Iloha Hostel Namba Shinsaibashi is located just a 2-minutes by walking from Shinsaibashi Subway Station, 5 minutes from Nagahoribashi Subway Station and 15 minutes from Namba Station. Free WiFi is available in public area. Our hostel bed size is about 210cm×120cm, and each bunk bed in dormitory rooms comes with a privacy curtain, reading light, electrical socket and small table. 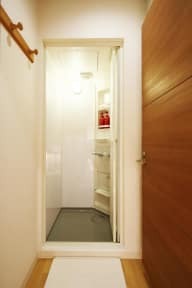 Safety deposit boxes are provided, and shared shower rooms include shampoo, conditioner, body soap and hairdryers. There is a 24-hour front desk at the property. 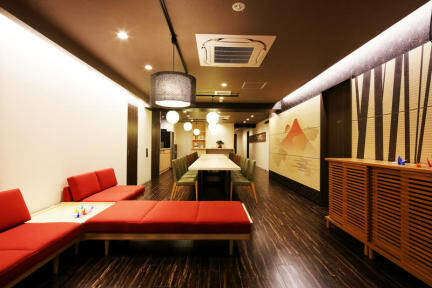 A lounge features Japanese-style decor and have a refrigerator, microwave and toaster. You can feel as if you come to the Japanese general house. Complimentary coffee is provided for guests' comfort. Free luggage storage is available. Tsutenkaku, Osaka Tenmangu Shrine and Kyocera Dome are all 15 minutes from Iloha Hostel Namba Shinsaibashi by train. Universal Studios Japan (R), Osaka Castle and Shitennoji can be reached within a 30-minutes by train. JR Kyoto Station is 45 minutes by train. Chuo Ward is a great choice for travelers who are interested in shopping, food shopping and street food.